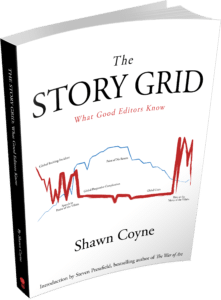 There is a lot of content here at Story Grid to help you tell a better story. This page will help you navigate what we have available. Shawn is currently available for 1-hour coaching calls. 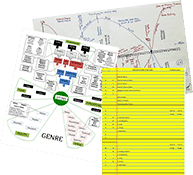 You’ll be able to send him material (NO MANUSCRIPTS, but up to 2,000 words explaining your conundrum and/or a Foolscap Global Story Grid for your work) to look over ahead of time. Directly after purchase you will be forwarded to his calendar to book a time with him. You can schedule a 1-hour consulting call by clicking here.